The Castle of Guimaraes is the principal medieval castle in the municipality Guimaraes, in the northern region of Portugal. It was built under the orders of Mumadona Dias in the 10th century to defend the monastery from attacks by Moors and Norsemen. The castle is a military fortification grounded primarily in the late Romanesque period, and elaborated during the early Gothic epoch of Portuguese architecture. Its area is delineated by walls forming a pentagram, similar to a shield, that includes eight rectangular towers, a military square and a central keep. 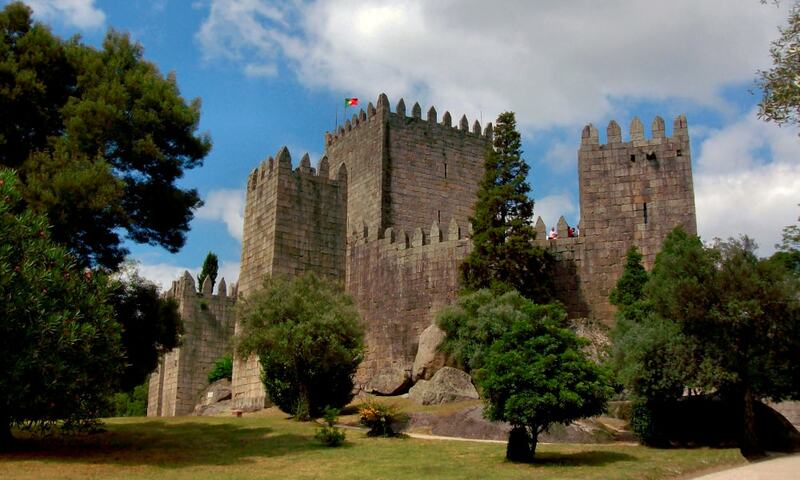 The Castle of Guimaraes is a national symbol referred to as the Cradle of Portugal.